Official synopsis: "B's first mission with the Angels --sentient, do-gooder zombies-- went horribly wrong when vicious members of the Ku Klux Klan attacked New Kirkham, a stronghold of precious human survivors. B is not about to let the racist thugs persecute innocent people, but while saving the town, one of B's oldest friends is kidnapped by the Klan. The Angels are prepared to do what it takes to save him, but B will have to make some very hard decisions about loyalties--to old friends, to the Angels, and to new families and old." Fast forward a few hours, a lot of OMG-moments, and I was faced yet again with another cliffhanger, this one in a league all of its own, so monumental and exciting for the way in which it could take the rest of the series that I practically threw my copy across the room! NO! It couldn't end this way! I needed there to be more. Another page? Another twenty pages? How am I supposed to wait until September to see what happens next? I can't do it. I cannot survive! 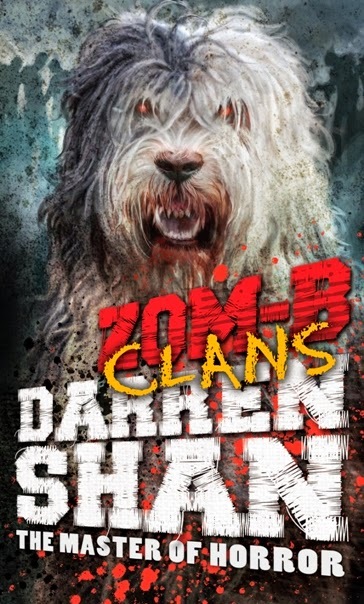 Lord almighty, Darren Shan, what do you do to me?! You turn me into a quivering wreck with every instalment, making my hunger to know what happens next even more ravenous and uncontrollable! One of the goriest instalments yet, Clans has to be my favourite so far! This one, as Darren himself has said, is full of twists that I know I for one didn't see coming in a month of Sundays. Literally! Not at all. I was screaming! Actually screaming. NO! I CANNOT BELIEVE IT!!! This book is one of the most exciting of the series and it leaves me very excited to see how the events that take place in this book are going to play out in the rest of the series! There is so much to talk about that takes place in such a short, break-neck speed, book and yet because it is the eighth book in the series I cannot possibly say anything because for those of you out there who live under a rock and haven't read the books yet, then you'll be spoiled! Just know that this series gets better and better every time and only has you aching to see what happens next. I have to say with the way the series is going I cannot possibly imagine how it's all going to wrap up in what is sure to be an epic finale due towards the end of next year! Yikes! Keep 'em coming, Darren! Thank you very much! My thanks to Simon and Schuster for my review copy (which came a few days after I'd already purchased it on my Kindle and in Waterstones, ha!). "Marguerite Caine’s physicist parents are known for their radical scientific achievements. Their most astonishing invention: the Firebird, which allows users to jump into parallel universes, some vastly altered from our own. But when Marguerite’s father is murdered, the killer—her parent’s handsome and enigmatic assistant Paul—escapes into another dimension before the law can touch him. Marguerite can’t let the man who destroyed her family go free, and she races after Paul through different universes, where their lives entangle in increasingly familiar ways. With each encounter she begins to question Paul’s guilt—and her own heart. Soon she discovers the truth behind her father’s death is more sinister than she ever could have imagined. 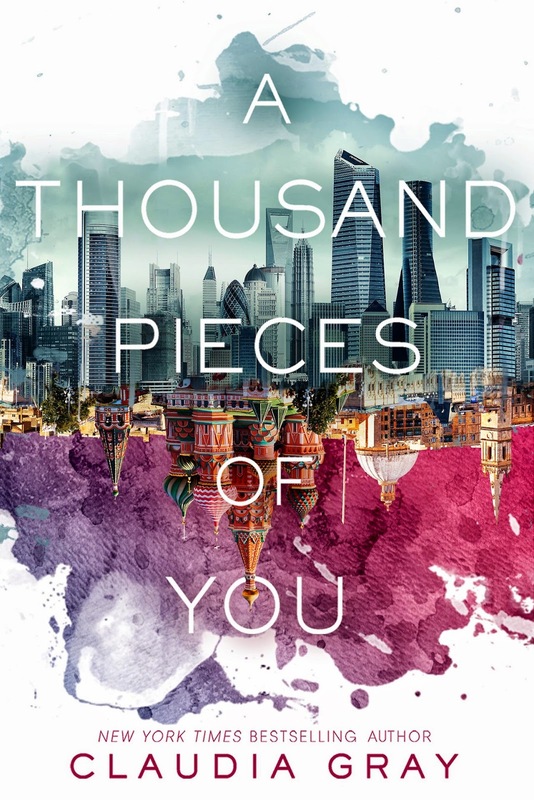 A Thousand Pieces of You explores a reality where we witness the countless other lives we might lead in an amazingly intricate multiverse, and ask whether, amid infinite possibilities, one love can endure." I already have a copy of this on my kindle thanks to the nice people over at HarperCollins US so I don't actually have a lot of waiting to do, but I do when it comes to that cover because I cannot wait to have a hardcopy to put on my book shelf. It's so beautiful, so stunning and very appealing! Bring it on!